Since our childhood, we have been constantly under influence of lot of people including our parents, siblings, friends, teachers, relatives, print and electronic media and so on. Apart from all other things that we learn, we also sub consciously pick up our life mission from the clues provided by society at large. Have you ever spent considerable time thinking about life and your purpose? Most of the people have never ever given serious thought to this question. Result is that their life is being run by the hidden life purpose/mission they learnt from the society. No doubt, they will run after things that are considered most important in today's society. Here is one of my favorite video on finding contentment. Contentment is what you get when you get clarity of your life mission and follow your passion. See? That is why at the time of death, if one is asked what they missed the most, do you know what they would say? 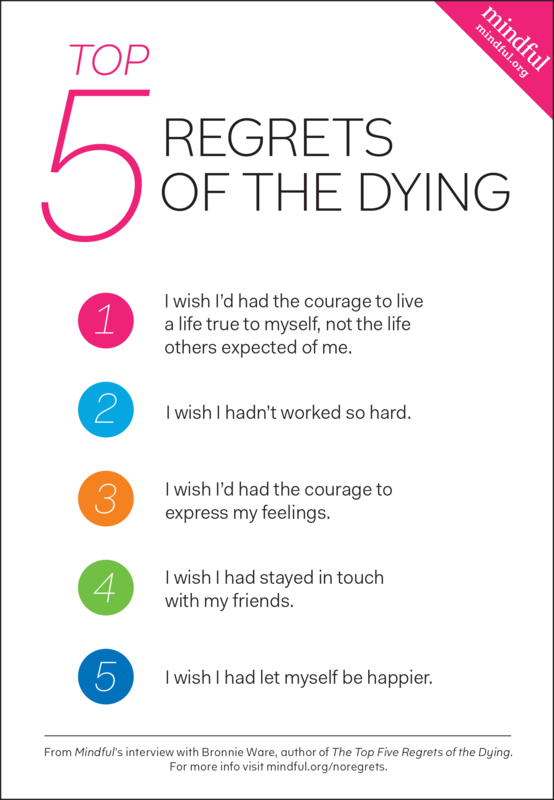 Read the first regret most dying people have! So knowing your life purpose is crucial to living a joyful life full of contentment and true success.